One pair (2 pieces). Bead Stopper bead stringing clamps hold the ends of cut wire so that your beads do not accidentally slide off the end. 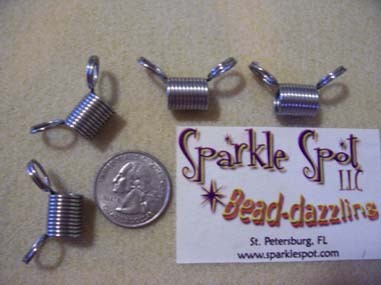 If you've ever dropped a nearly completed creation and spent the next hour trying to find your beads on the floor, you'll recognize the value of these simple little tools!! A small item that makes a world of difference!